Well after the disappointment of not making yesterdays dig, i headed out to my medieval site with high hopes. Alas they were dashed when i found these artefacts. 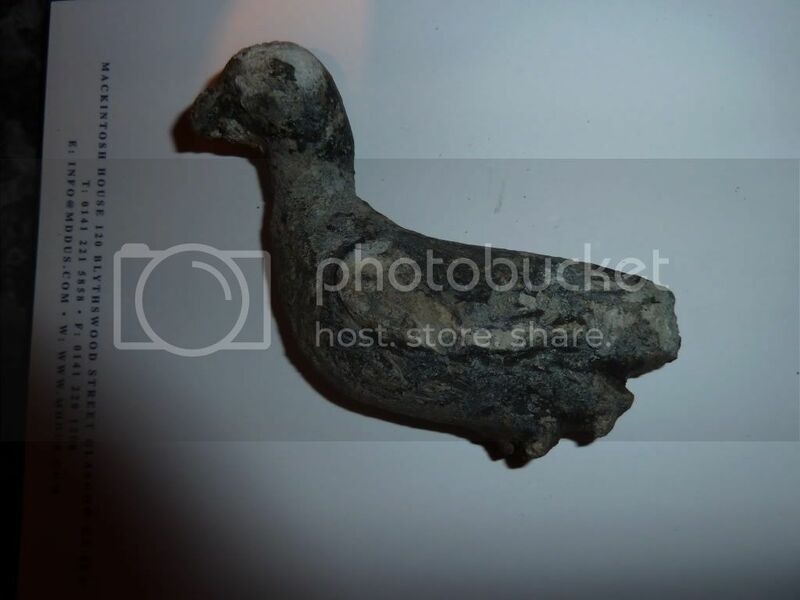 Not sure exactly what the large bronze item is or the pointed piece, however a nice wee shoe buckle and a wee goose or swan. 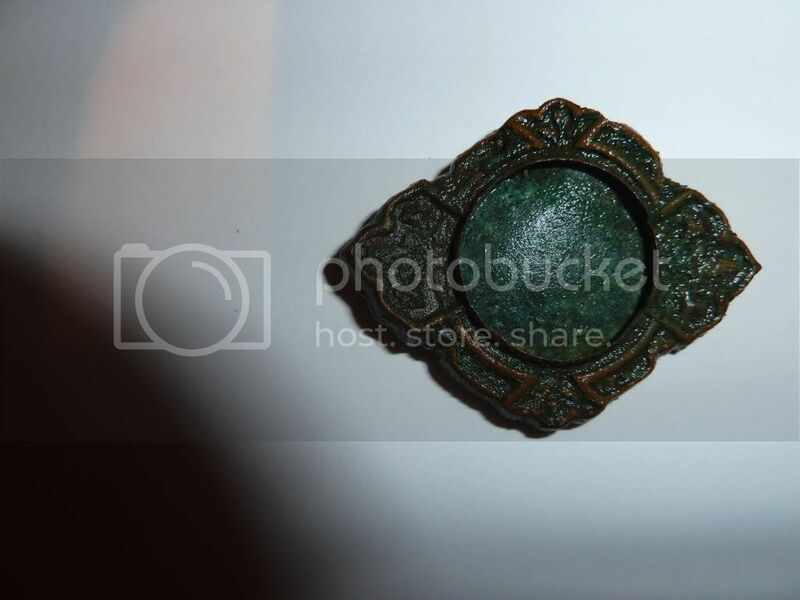 Also a brooch with centre piece missing and a broken ring like object. If anyone has any idea what they might be from, as always please let me know. Might try a new field tomorrow. 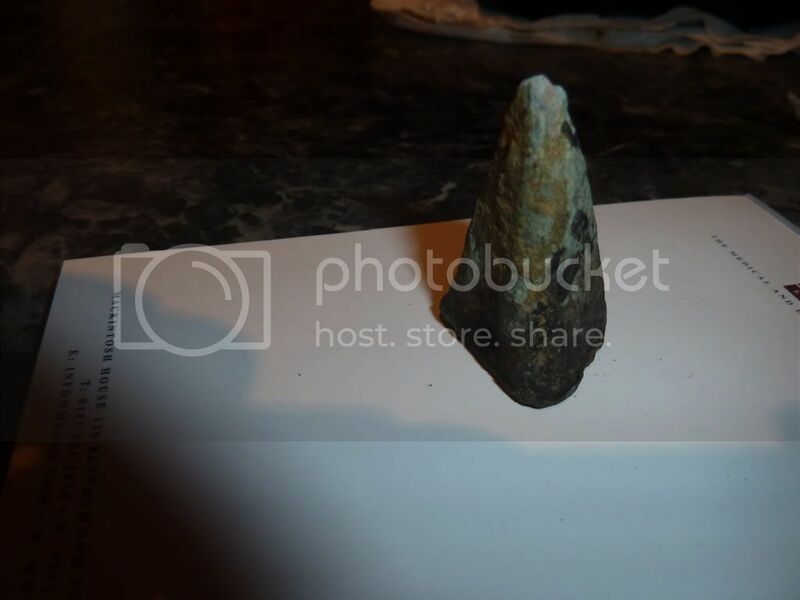 Well it was found on a site that i suppose was a "service Station" of the medieval era. A stop off for travellers up the east coast. A dig in the 80s revealed 4 Kilns and the area is hoaching with green glazed pottery of the era. i like finding green glazed pottery but in 8 years detecting i have only ever found 4 pieces. 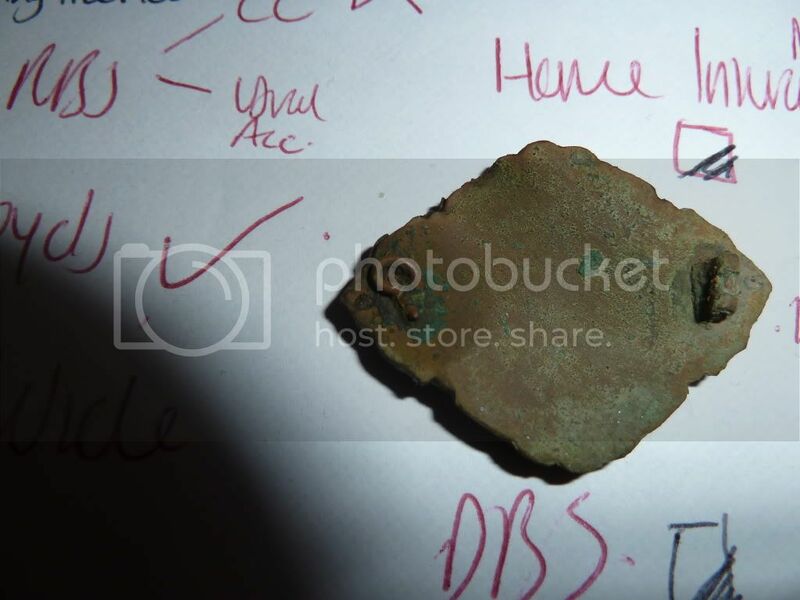 The third and fourth pictures show what looks like a bronze pot leg and probably from bronze cauldron type pot that had three legs. It is an early piece and probably early medieval in date I have had at least a dozen type examples before and still have some some where. What you should always do when you find something like that is to do a concerted slow search of that same area and see if any more pieces come to light. And remember some of these pots were used to pose hoards in so you jusy never know? 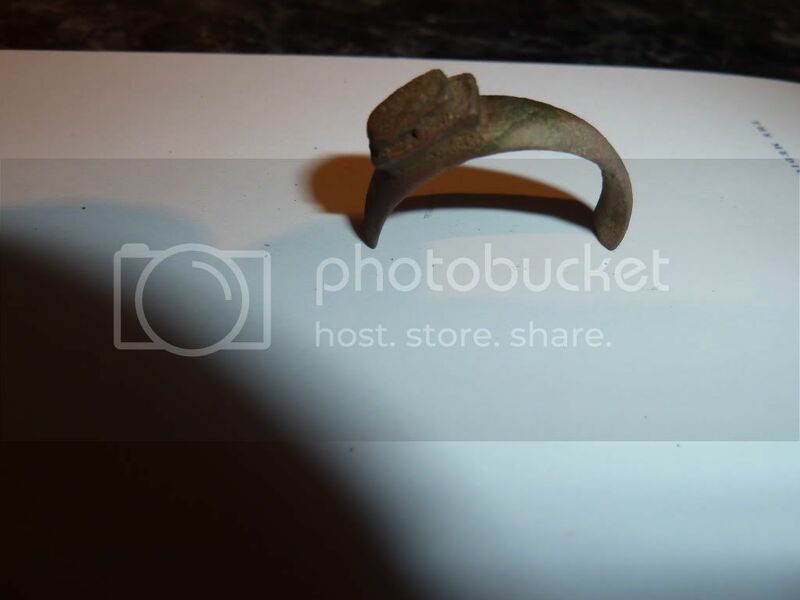 The final item you have there looks like part of a ring and may be old as well similar to a finger ring it may have served another purpose and may have had a piece broken off it. I have one example with a complete shank so it fits over the thumb quite well. 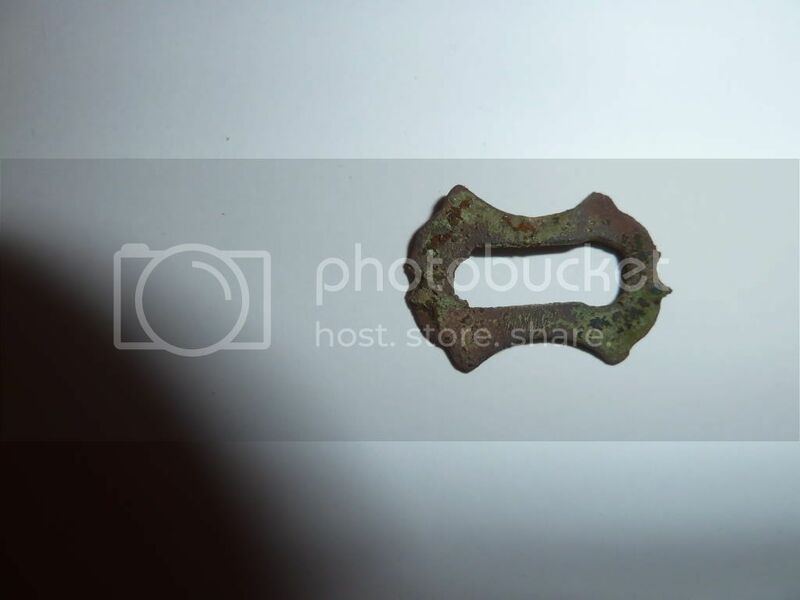 Depending on the area you are searching and its history that ring fragment maybe something attached to it for the one I found was next to a Roman site. But it may be later in date than Roman. thanks mate, good to hear the son is more relaxed about letting you on as it should prove to be a productive site for you. 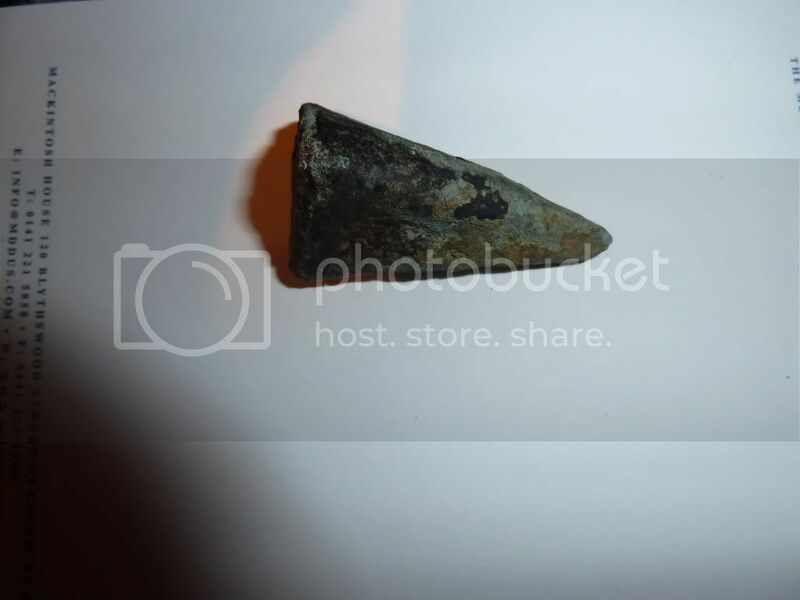 I found my first hammered about thirty yards from where i found that pot leg. About a week ago i found the hammered. Also the ring was from the same area, all in the top left of the field. Are you fancying a trip out tomorrow? afgingram could you post up a picture showing the reverse of the large bronze item with the round thing in the middle? I'd love to head out tomorrow but unfortunately I have to be somewhere. But give me a shout after that or at the weekend some time and I'll head out with you. Just send me an email if you are free say the weekend. If you do go out yourself remember what I said about slow methodical searching. And listen out for the faint and iffy signals. Fahad, which bronze thing?? 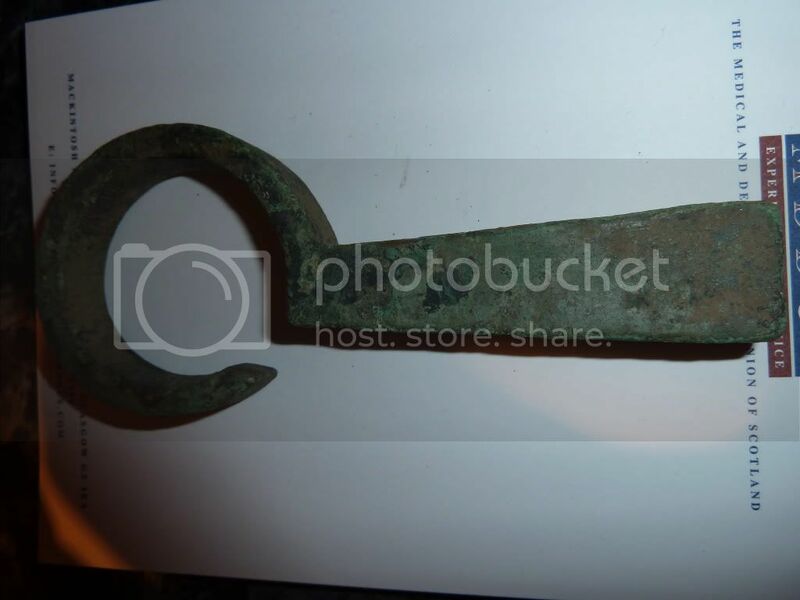 the large hooked thing or the brooch type object? sorry cant shed anymore light on your brooch only that you are right with it being a brooch. yeah, i dont think there is any age to it, apart from the top of the field the rest of it is dead, some bag seals in one other corner, but only two coins. suppose i havent covered a tiny percentage of it yet though.